The crime procedural and television go together like peanut butter and jelly, or green eggs and ham. Also like a serial killer and a jail cell — which is probably why they’re so darn popular. For over fifty years, the crime procedural has dominated television: from Dragnet to Columbo, 21 Jump Street to Law & Order and beyond — all of these iconic procedural dramas made the case for, and canonized, the methodology behind the madness, now and forevermore. In fact, crime procedurals are the number one US television export. We seem to really love them, huh? That’s because crime procedural is like TV mashed potatoes. It’s warm, inviting, comforting, and you’re guaranteed to be satisfied by the end unless you overindulge and then it quickly becomes monotonous mush. The crime will always be solved, the murderer may or may not die, but justice will always be served. But some series have done the unthinkable and trying to make the crime procedural exciting and new again. Because everyone deserves a second chance — even a worn-through television genre. And that’s where these shows come in: they’re reinventing the format, and for that we are very grateful. Some years ago, Law & Order changed the procedural landscape by adding a law component in addition to catching the criminal in each case. In today's TV landscape, it's not quite so easy to stand out from the pack as a procedural, and to combat this, some sharp cop dramas have expanded and grown more extravagant, building a whole universe to support its bad guy premise. Among these is Fox’s new drama Sleepy Hollow, which follows a Revolutionary War era gentlemen and a modern day cop as they try to take down a slew of monsters from fiction and lore. Taking down supernatural bad guys has been done before in dramas, including The X-Files and Buffy the Vampire Slayer. 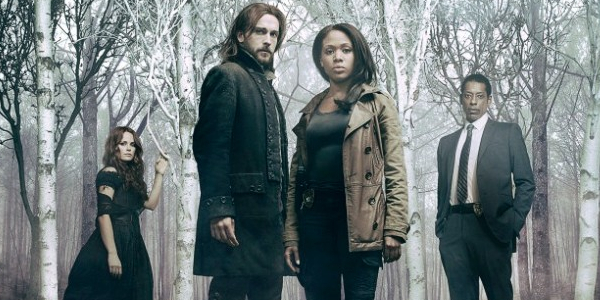 However, Sleepy Hollow thrives exceptionally in several ways those shows never did. It’s a fish out of water story in which Ichabod Crane (Tom Mison) manages to take to his new surroundings with humor and grace. More importantly, its lore is steeped in pseudo history, with characters like George Washington and towns like Roanoke shaping its monster of the week premise. Sleepy Hollow is a procedural that is fused firmly with lore, but it is its ties with Americana that make the drama an exceptionally fun watch each week. It took Grimm a little while to hit its stride, in terms of its format, eventually managing to find a balance between detective procedural and serialized drama with a supernatural twist. While much of the momentum of the series relies on extended arcs that span the length of the season — in Season 2, a lot of that had to do with Juliet’s amnesia — the driving force of the series is in the episode-to-episode challenges, often related to a monster-of-the-week connected to a crime in Portland that Nick and his partner Hank are tasked to solve. It’s often those episode-long arcs that bring the ensemble together, and it’s the ensemble that makes this series tick. 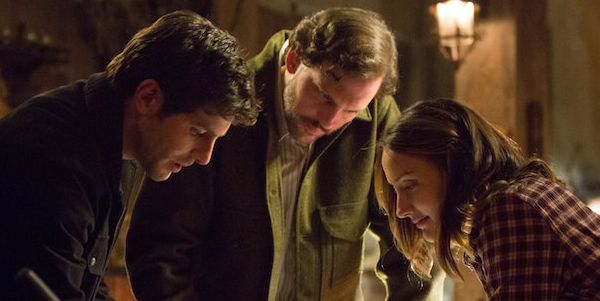 We could argue that Grimm follows a very similar to format to Buffy the Vampire Slayer, in that there’s the chosen one — or a chosen one anyway, Nick’s not the only Grimm out there, after all — and his group of friends, some of whom have supernatural abilities and each of whom brings something to the table. And there are big bads lurking around every corner, some bigger and badder than others. The whodunnit mystery of the week steps outside the box, due to the supernatural nature of some of the criminals. This is a show with bite, literally. Anything goes, which elevates Grimm above other procedurals and keeps us on the edge of our seats in the process. One of the most common emerging twists on the television procedural is to make the new shows superpowered. Most of the current crop, whether it's ABC's Agents of S.H.I.E.L.D. 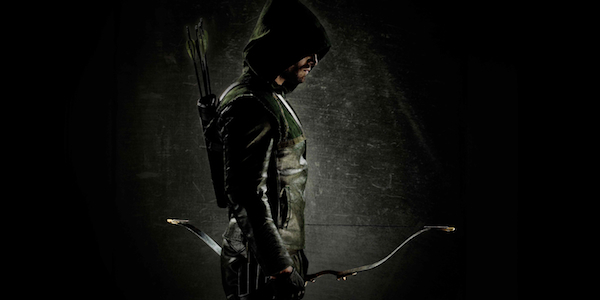 or The CW's Arrow, involve a (super)villain or mystery of the week that the comic book inspired crew must then overcome. Well, AOS seems like it's still trying to figure out what it is, while the series based on DC's superhero has successfully used the episodic formula to produce an exciting season and a half of TV. Just last night, Oliver Queen completed a mission to Moscow while his sidekick had another one-episdoe run-in with Floyd Lawton a.k.a. Deadshot. Without the 'headlines' to pluck from (like Law & Order, the king of procedurals), it helps that the writers have such a rich source to turn to for stories each week, whether it's bringing in Green Arrow allies or villains from Batman's Rogues Gallery. 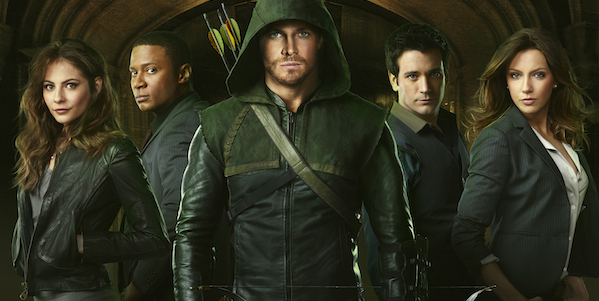 Already in this young season, Oliver and his crime-fighting crew have defeated a bunch of copycat Hoods (vaguely similar to those in The Dark Knight), The Dollmaker and a member of The Leagues of Assassins. Sure, Arrow also contains its fair share of serialized storytelling but let's be honest, what procedural doesn't also develop its characters and narratives over time as the adversaries are thwarted and cases are solved? Law & Order doesn't count. It stands to reason that The CW's Flash will follow the same formula as the series providing it a back-door pilot but Marvel's upcoming shows on Netflix will probably opt for a more serialized approach based on the streaming network's model and the fact that they're all building towards The Defenders mini-series. Still, prepare for a lot more super-procedurals on your small-screens. More often than not, a procedural begins with its heroes responding after a crime has been committed. Usually, said crime is a murder and the rest of the runtime is situated around interviewing friends, family, coworkers and neighbors of the deceased until one of the interviewed is arrested with just enough time for a dramatic confession. Person Of Interest, however, isn’t interested in playing by those rules. Instead, it incorporates artificial technology to offer precise, detail-less forecasts of social security numbers that will be involved in a violent crime in the immediate future. 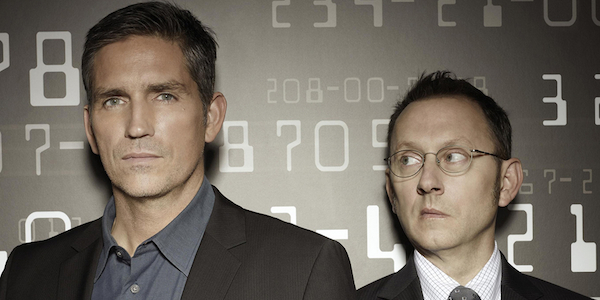 Thanks to that premise quirk, Person Of Interest is less a show about solving crimes and more a show about discovering what the crime, or proposed crime, actually is. Sometimes the social security number the machine spits out will belong to a murderer. Sometimes it will belong to a potential victim or a bank robber whose plans to make off with an armored car could mistakenly lead to plenty of death. The curious nature of all the cases taps into that same portion of our brains that Murder, She Wrote and Law & Order accessed, but its format flip makes it feel new and exciting, especially since the whole thing is dressed up in futuristic monitoring devices, wiretaps and computer science buzz phrases like statistical analysis. Most crime procedurals completely sidestep the mental effects those crimes have on the people around them, preferring instead to really ram home the satisfaction that comes with solving a murder. 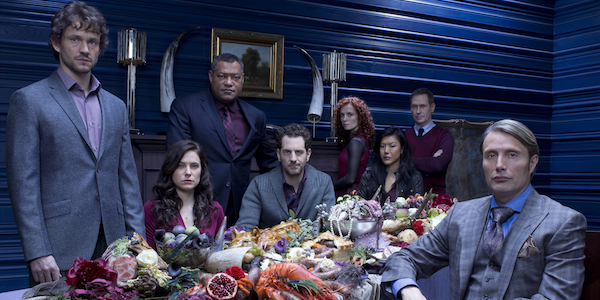 But with NBC’s Hannibal, a case can be made for its inventive approach to crime drama — by using the procedural format as a way into the dimly lit pathways of the mind. In this case, it’s just one mind: mainly that of hyper-empathetic FBI profiler Will Graham. The gruesomeness of the kills hooks you in each week, visually arresting and oftentimes physically upsetting as they are — but it’s through the procedure that you see the big picture. There is nothing about discussing the mental ramifications of crime that’s easy. In fact most of it is wholly dependent on the person, places, and things involved — it’s all completely circumstantial. But by taking something as satisfying and comforting as the procedural format, you’re able to, week after week, see the new and different ways it does. It allows for the psychological game of cat and mouse between Will and pre-Silence of the Lambs era Hannibal Lecter to take place. And through that, we see the bevy of psychological mind games that psychopaths play, and how that affects both the serial killer and his innocent victim/plaything.